"The positive effect of the EU integration policies is obviously highly questioned: although it may have worked out in certain countries, it was catastrophic in other countries such as Romania and Bulgaria," the Wednesday report says, adding that "Ukraine can be considered as the second major failure of the EU foreign policy after Yugoslavia because the Union was not able to impede the war." The report, titled "Ukraine and the EU: Overcoming criminal exploitation toward a modern democracy? ", was produced with the help of the University Observatory of Security of the University of Geneva, the Terrorism, Transnational Crime and Corruption Center (TRACCC), and the Basel Institute on Governance. It presents detailed findings on corruption that still prevails in Ukraine, stressing that "the situation [in the country] is more dangerous for Europe than for the Ukrainians." Violence started in Ukraine in April, 2014, when Kiev launched a military operation against independence supporters in the country’s southeast, where local residents refused to recognize the new pro-Western government that came to power after the February coup. 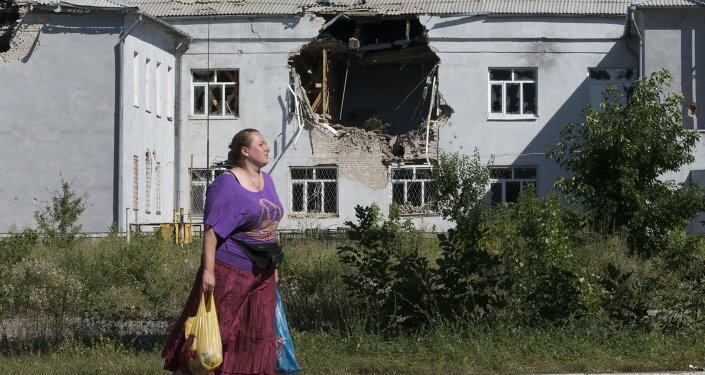 The OCO report explains that the armed conflict in the corrupt Ukraine could lead to a spike in criminal activity in Europe, as Ukrainians flee their country to the European Union, bringing along their criminal know-how. "This flow of new criminal on saturated and organized illegal markets will force the existing criminal groups within the EU to reorganize and share the pie with another actor. If this will lead to an increase of the capacities of the EU organized crime groups (Ukrainians can bring lots of capacities, in weapons, in man work, in corruption schemes and economical crime), there will be also tragedies and killings in local mafia wars throughout the EU," the report says. Any democratic measures proposed by the European Union to help Ukraine tackle corruption are bound to fail, the report argues, saying that oligarchs will continue to run the country and are only being made stronger by Western funding provided to Kiev. The money that Ukraine’s oligarchs continue to accumulate "does not come from the Ukrainian industries and services anymore, but more and more from foreign help: first it was coming from Russia, now it’s coming from the EU, the US, and the international organizations such as the International Monetary Fund, the World Bank, the EBRD, or the multilateral financial aids," the report says. The corruption that prevails in Ukraine will inevitably affect the country’s trade relations with the European Union, as the oligarchs that dominate the Ukrainian power structures will continue to pursue their personal agendas instead of state interests, according to the OCO report. "Managing the problems of corruption and organized crime will be one of the most important issues for EU trade because private interests shall easily overcome public interest and have a strong impact for both Europe and Ukraine," the report stresses. It adds that the measures proposed by the West to make Ukraine’s government structures more democratic and transparent are unlikely to yield any positive results. "The so-called and supported ‘democratic moves’ will be no help for restoring Ukraine stability and legitimacy, inside as well as outside the country." The European Union’s attempts to unsuccessfully spread its "democratic values" in Ukraine, juxtaposing its position to that of Moscow will only highlight the deficiencies of Western institutions, the report suggests, warning of the negative effects of Europe’s media war with Russia. According to the report, "the ‘media war’ has had a direct impact on the populations of the EU, because it challenged also the legitimacy of the EU institutions themselves on the matter, their independence, their quality, their capacities to bring to their customers a reliable information with intelligent comments and analysis." One Year On: How Many Election Promises Has Poroshenko Kept? Most of the reforms recently introduced in Ukraine at the request of international donors are not leading to any positive changes in the country since the authorities’ dominant motivation in introducing the legislation was to get more money from the West. "As much of the legislation was ‘copied’ on the western countries or imposed by international donors in exchange for financial aid, Ukraine finds itself with two limited national anti-corruption bodies — the National Commission and the National Bureau — which might be difficult to turn in an ‘on’ mode and ensure effectiveness, both in their proper mission and in state agencies' collaboration," the OCO report explains. Despite a package of anti-corruption laws passed by the Ukrainian Parliament (Rada) last year, the situation in the country has not improved, the report found. "The financing promised by the different financial partners of Ukraine, such as the EU, the Council of Europe, the WMF, or the WB are all putting as a condition a drastic enhancement in the struggle against corruption to release further financial helps; but the laws are still on hold, and nothing has really changed," the OCO said, stressing that, according to some surveys, 78 percent of Ukrainians do not support the current lustration program. Lustration of power was one of the demands made during the Maidan protests, which led to the power coup in Ukraine. The law, which came into force in October 2014, aims to cleanse the country’s governing structures of people who served under the ousted President Viktor Yanukovych, branded as pro-Russian by the West. "Not only has the lustration not yet resolved any issues it promised to amend, but the law is also used to sell some personal cases, from the bottom level in the regions to the highest levels in Kiev," the OCO report said, adding that the lustration process "is highly political and benefits to the existing team in power." Self-enrichment remains the primary goal of Ukraine’s leadership and Rada members, whose corruption is reinforced by the integration of criminal groups into the power structures, facilitated by the armed conflict in the southeast, according to the OCO report. "The alliance between the oligarchs and the state has become entrenched at the highest levels of government, while at the local level, judges, police, local government officials and politicians have organized themselves into a corrupt network of mutual enrichment at the public expense." Ukraine’s oligarchs used the armed conflict in the country to gain more power and control over steel, coal, gas, electricity, communication and other industries. "The collapse of the institutions from May-June 2014 since now have boosted and diversified the traffics not only in criminalized goods but also in basic consumption goods," the OCO report stressed. The European Union has not properly taken into account the crime structures and dynamics in Ukraine, according to the report. As a result, the country continues to struggle with corruption, which threatens to contaminate EU states, especially if Ukraine is granted EU membership. OCO says it observed similar developments in Bulgaria and Romania, which are now EU members, as well as Serbia, a country in the process of getting EU membership.